Photojournalism is not pretty. I was asked to help put together an online presentation for this powerful piece of photojournalism by Sun staff photographer Algerina Perna. 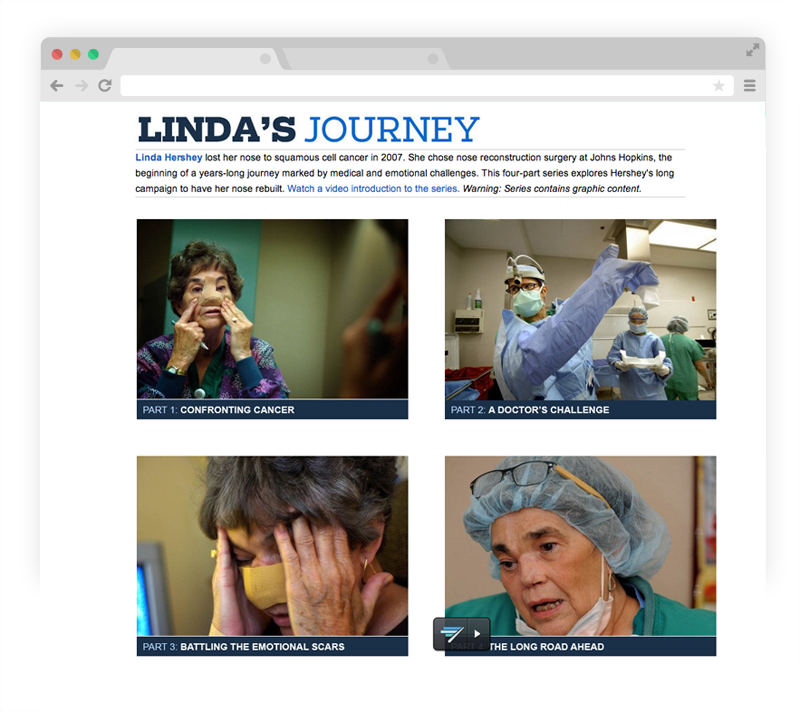 Algerina has been following Lynda for five years and documenting her multiple surgeries. This was a tough project to work on and the design challenge was to be respectful to the subject, properly convey the power and emotional impact of the story, and create entry points and navigation for a multi-part series spanning across several sites.